MILAN -- Fiat Chrysler Automobiles did little to quell speculation that the manufacturer is considering ways to streamline its portfolio to focus on mass-market cars, saying it regularly reviews strategic proposals. “From time to time, FCA may receive inquiries on strategic transactions and will evaluate such inquires consistent with its duties to stakeholders,” the carmaker said Friday in a statement prompted by Italy’s market regulator, which is seeking an explanation after a recent share surge. FCA is considering options including a plan to spinoff the upscale Maserati and Alfa Romeo brands as well as components operations, Bloomberg reported on Wednesday, citing people familiar with the discussions. Italian newspapers, including La Repubblica, followed up on Thursday with stories saying the spinoff of parts unit Magneti Marelli could be announced by end of this year. FCA said it “has no further information” in response to these reports and referred to a statement on Monday related to an approach by Great Wall Motor Co., first reported by Automotive News. “As a matter of policy, FCA does not comment on market rumors and therefore does not intend to comment further on any inquiries,” the company said. Fiat Chrysler shares, which have hit record highs in recent days, have surged 25 percent in the past two weeks. FCA shares rose 2.6 percent to $14.79 on Thursday in New York. 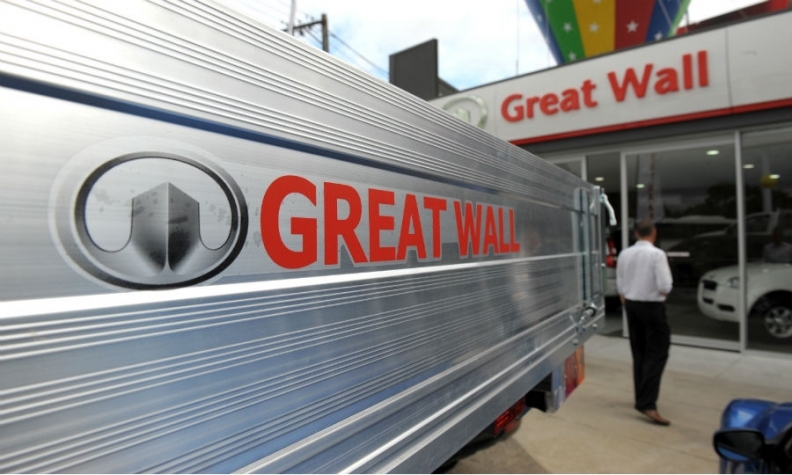 Great Wall, China’s biggest maker of SUVs, expressed interest in Fiat Chrysler, especially the Jeep brand. Fiat said there has been no approach on Jeep or “or any other matter relating to its business.” Great Wall said there are “big uncertainties” whether it will continue to pursue its interest in Fiat Chrysler. The swirl of deal speculation continued on Thursday, with FCA and Volkswagen Group in very early discussions about possible joint production of light utility vehicles, people familiar with the matter said. CEO Sergio Marchionne, 65, is preparing his final five-year business plan before he leaves the carmaker in 2019. He acknowledged that deeper changes might be coming when he said last month that the automaker will evaluate whether to spin off some businesses. The company is pushing to eliminate 4.2 billion euros ($5 billion) in debt by the end of next year.